Enhance your designs with these leather embellishments. These embellishments are decorative elements that are fun to layer into projects. They can be used in so many ways. Try them as focal points, seed bead around them, layer them with other leather jewelry components, and more. You'll find a variety of styles and colors to choose from right here. Leather is a striking accent in any design and will make your DIY jewelry really stand out. Use these embellishments in your projects today. Bring boho style to your designs with the Lillypilly Designs small burlap brown cut-out leather flower embellishment. This leather embellishment is cut in the shape of a flower with six rounded petals featuring cut-out centers. A small hole at the center of the flower makes it easy to add to designs. Sew it onto projects for fabulous results. The cut-out style is great for layered creations. It would look great with other leather components. This flower features a textured front surface and rich brown color. Add a bouquet of style to designs with the Lillypilly Designs mini garden assortment leather flower embellishments. These small flowers are available in a variety of fun shapes, including carnations and daisies. Each flower features a small hole at the center, so you can easily add them to designs. Use them in sewing projects, bead embroidery and more. They are sure to look great with other leather components. These flowers feature playful pink colors, groovy orange and olive green colors. The flower shapes and colors included in each pack may vary. A bouquet of style is on display in the Lillypilly Designs mini floral field assortment leather flower embellishments. These small flowers are available in a variety of fun shapes, including carnations and daisies. Each flower features a small hole at the center, so you can easily add them to designs. Use them in sewing projects, bead embroidery and more. They are sure to look great with other leather components. These flowers feature blue, dark purple, orange, pink and brown colors. Let groovy accents fill your designs with the Lillypilly Designs small camel abstract leather flower embellishment. This unique flower shape features alternating small and large rounded petals, for an unforgettable abstract look. A small hole at the center of the flower makes it easy to add to designs. Add it to fun bracelet cuffs, use it in bead embroidery, try it in craft designs and more. It would work well with other leather components. This flower features rustic brown color. Dramatic style fills the Lillypilly Designs small black leather flower embellishment. This leather embellishment is cut in the shape of a flower with six rounded petals. A small hole at the center of the flower makes it easy to add to designs. Sew it onto projects for fabulous results. It would look great in layered creations. Try it with other leather components for a rich look. 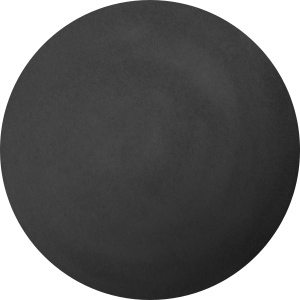 This flower features bold black color that will contrast with bright colors. Give your designs a fun twist with the Lillypilly Designs small burlap brown abstract leather flower embellishment. This unique flower shape features alternating small and large rounded petals, for an unforgettable abstract look. A small hole at the center of the flower makes it easy to add to designs. Add it to fun bracelet cuffs, use it in bead embroidery, try it in craft designs and more. It would work well with other leather components. This flower features a textured front surface and a rich brown color. For a bohemian touch to designs, try the Lillypilly Designs small burlap brown daisy leather flower embellishment. This embellishment features a fun flower shape with six rounded daisy petals. A small hole at the center of the flower makes it easy to add to designs. Add it to fun bracelet cuffs, use it in bead embroidery, try it in craft designs and more. It would work well with other leather components. 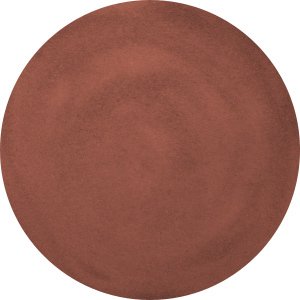 This flower features a textured front surface and rich brown color. Showcase texture and fun in your designs with the Lillypilly Designs small burlap brown leather flower embellishment. This leather embellishment is cut in the shape of a flower with six rounded petals. A small hole at the center of the flower makes it easy to add to designs. Sew it onto projects for fabulous results. It would look great in layered creations. Try it with other leather components for a rich look. This flower features a textured front surface and deep brown color. Bring the beauty of flowers to your designs with the Lillypilly Designs mini meadow assortment leather flower embellishments. These small flowers are available in a variety of fun shapes, including carnations and daisies. Each flower features a small hole at the center, so you can easily add them to designs. Use them in sewing projects, bead embroidery and more. They are sure to look great with other leather components. These flowers feature turquoise, green, denim blue and brown colors. Add rustic appeal to your designs with the Lillypilly Designs small camel leather flower embellishment. This leather embellishment is cut in the shape of a flower with six rounded petals. A small hole at the center of the flower makes it easy to add to designs. Sew it onto projects for fabulous results. It would look great in layered creations. Try it with other leather components for a rich look. This flower features a textured front surface and warm brown color.